Sanjaya (2006: 19) points out the strategy is a plan of operation achieving something. She continues that in education field, strategy is translated as a plan, method or series of activates designed to achieve a particular educational goal. She also states that the meaning of problem is a gap between the happen reality and what s expected. Merrill (2002: 15) points out that strategy is typically organized with a small group of learners, accompanied by instructor, faculty person, or facilitator. During this process, a series of problem are provided by learners with guidance early in the problem based learning strategy process (with introductory problem), and then later guidance is faded as learners gain expertise. Guidance is faded as a group members feel more confident with the subject matter and become competent with the learned procedures. Barrow (1993: 56) says that: Problem Based Learning was first established as part of the education of physicians in medical school and has been and educational institution at Southern Illinois University for over 30 years. This strategy has grown into an instructional approach which is findings success in elementary through high school throughout the state of Illinois and beyond. While its preliminary success has been documented through Illinois Match and science Academy, Problem Based Learning (PBL) is now a prominent strategy in many elementary schools through high schools. Bound and Feletti (1991: 86) say that the problem based learning is an approach to structuring the curriculum which involves confronting students with problems from practice which provides a stimulus for learning. While Duch (1995:67) defines problem based learning is an instructional method that challenges students to “learn to learn” working cooperatively in group to seek solution too real world problems. These problems are used to engage student’s curiosity and initiate learning the subject matter. Problem based learning strategy prepares student to think critically and fanatically, and to find and use appropriate learning resources. 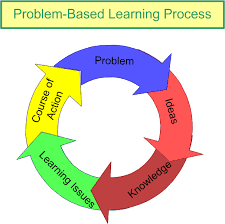 Belum ada tanggapan untuk "Problem Based Learning (PBL) Strategy in Speaking"